Last month, Showtime shut down rumors that they were renewing Dexter. Now, the network’s programming president Gary Levine says the series may still have a future at the network. Dexter was cancelled two years ago after an eight-season run. Speaking at the winter TCA press tour, Levine said that while there are no plans for the series’ return as of now, there may be in the future. What do you think? Are you a fan of Dexter? Would you like to see more seasons of the show or did it run its course? 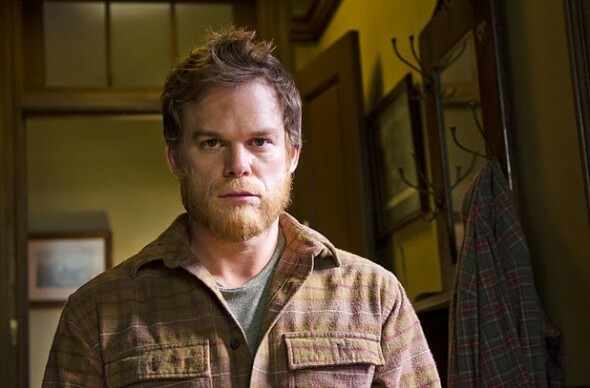 More about: Dexter, Dexter: canceled or renewed?, Showtime TV shows: canceled or renewed? SUFFERING FROM WITHDRAW….. NEED TO BRING IT BACK, MAYBE HAVE DEB REPLACE HARRY AS HIS “MORAL” COMPASS……? would love to see it come back, but let Dexter be Dexter that’s what are it so good. Was THE best twisted drama series, always leaving u on the edge of your seat. Never a dull moment. The actors fell perfectly into their roles without effort. The sky was no limit for the story line. Would love to see its return. What a great series, bring it on again!! We loved the show wife and I, both retired age. Heard all the possible ways of bringing it back. One thing is don’t change the original premise other wise it will fail, Dexter has to be Dexter. Some suggest him waking up in Prison “No” some talked of his son some how picking it up “No” Some speak of redoing some seasons to make it more appealing “No” if you want too do some sort of dream sequence,fine to bring back Deb, ok.But that’s as far as I go, and I’m really not sure if that is necessary. Dexter has been left wide open for a follow up of quite a few seasons. This one was a winner in all respects and I always wonder about the mental acumen of the people who drop or cancel winners. At least Dexter wasn’t killed off like most of the other main characters were. I did imagine Dexter ending with him living a 1950s style home life with his absolutely normal son, and his serial killing wife, rather than than the way in which it did. Somehow the scene from Snow White, with the birds and butterflies flying around, and Snow humming in the kitchen, comes to mind. I hated the way it ended. Bring it back and let the story continue! The fact that it ended like that, surely means there will be more???? Yes, yes, yes! Please bring back Dexter! I loved it. WOW!! Return of DEXTER. FANFUKINGTASTIC. LOVE IT. It’s not surprising that You love it. Got the “right” people in it for you. I’d love it to come back, there are so many possibilities! Dexter was an all time favorite of mine and my husbands. Hoping he will come Back!!! I most definitely want Dexter back!